During the recent interview on SBS Midnight Entertainment TV, PSH was asked will she still grant them to interview her since she's now very popular & a China/World star. She said of course she will, pinky promise! During her trip to China with Kim Woo Bin, she was surprised to see so many fans at the airport. Currently she is busy with many CF endorsement events including outdoor CFs. So impressed with her Weibo's follower record, the interviewer claims that PSH has more follower than Fan Bing Bing; a popular China's actress. 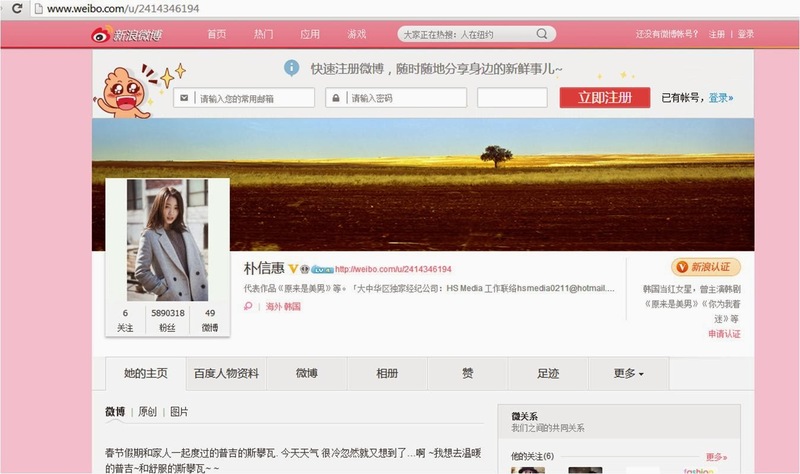 Today, PSH Weibo account is about to exceed 6 Million follower.